The downtown village atmosphere of Qualicum Beach makes it the perfect place to meet a friend for lunch and then spend an afternoon browsing through antique stores, clothing boutiques, and galleries. Small, one-of-a-kind stores line our pedestrian-friendly streets, as do cafés, restaurants, and bakeries. Shopkeepers take pride in their service and their selection of unique products and are always ready to help you find that special something. 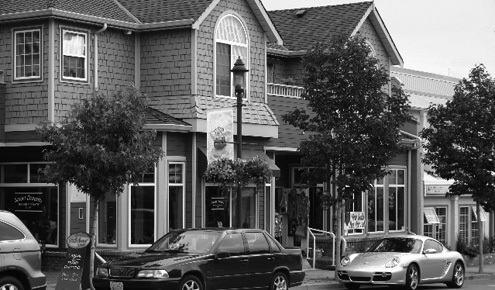 Quaint, friendly, and lovely - all describe the downtwon village shopping experience in Qualicum Beach.